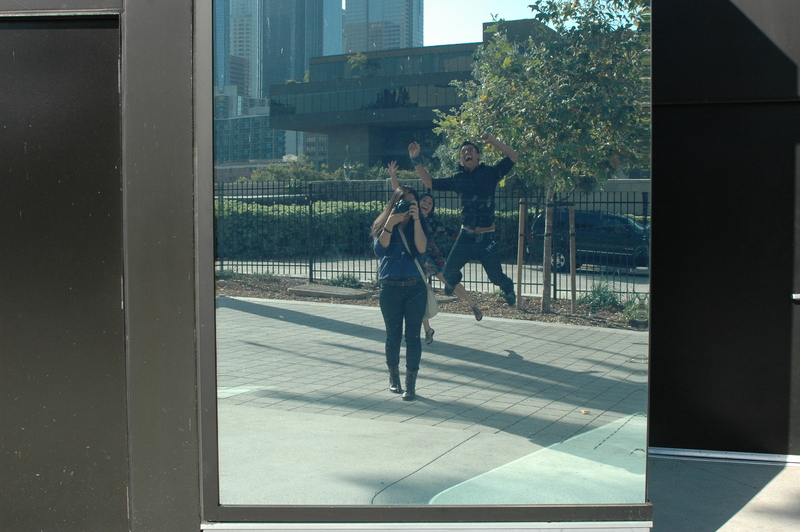 While my sister and her husband were in town, I took them around a bit of Downtown LA. 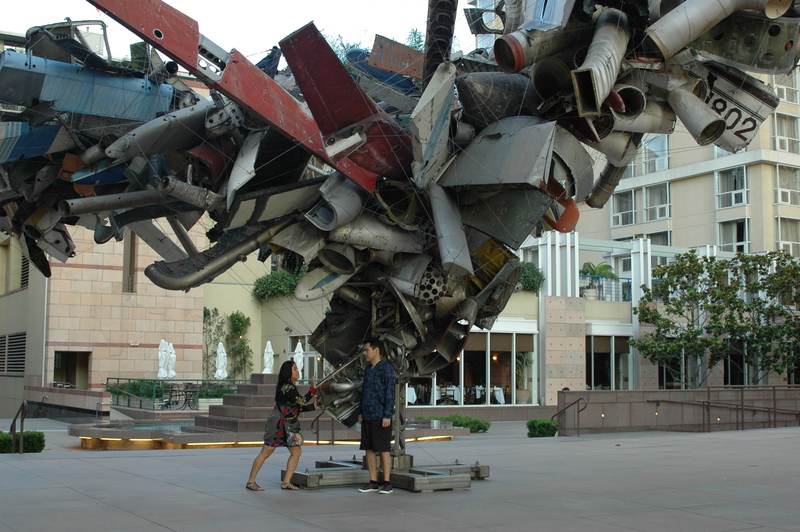 We started in Little Tokyo then down to City Hall. Check out some of the sights! 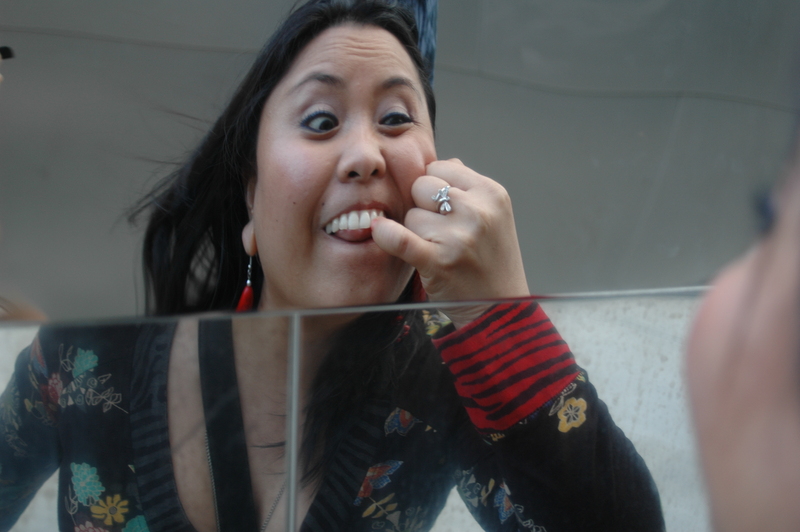 FYI, I have a very goofy family. 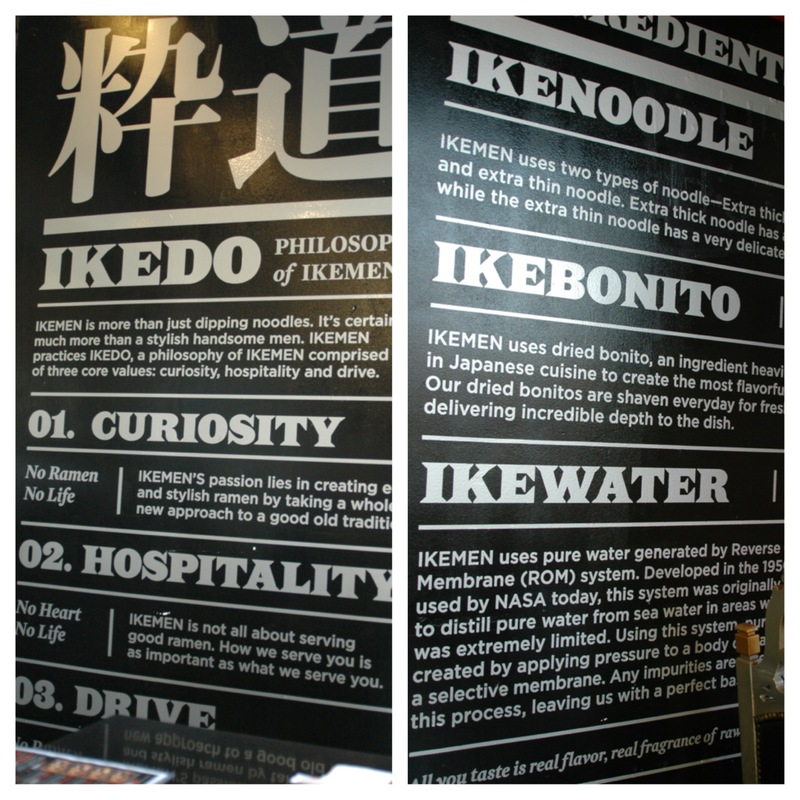 After our quick tour, we headed over to Ikemen, a ramen joint known for their tsukemen, or dip ramen. 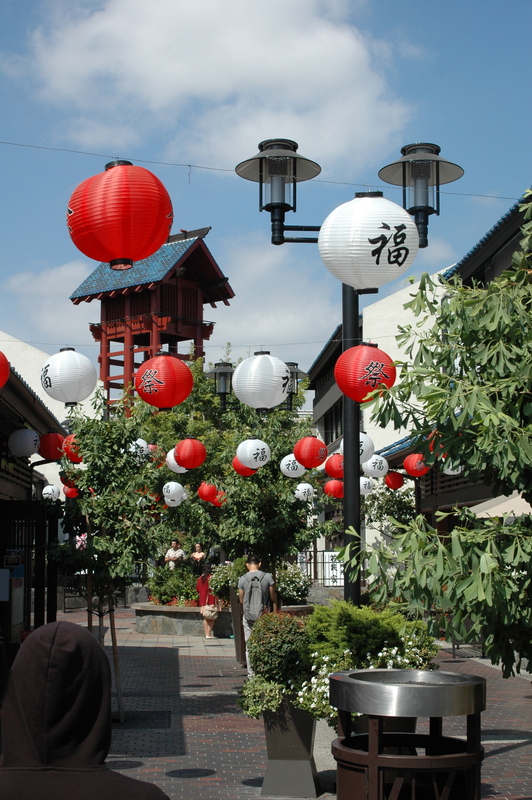 It is located outside of Weller Court in Little Tokyo. They have really cool decor! 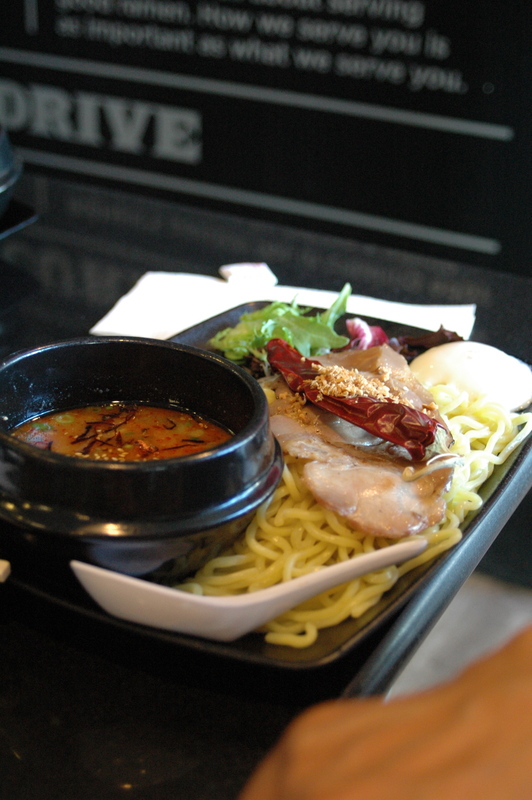 We pretty much ordered every single ramen dish on the menu! Well not really, but there were only 6 of us and we each got something different. 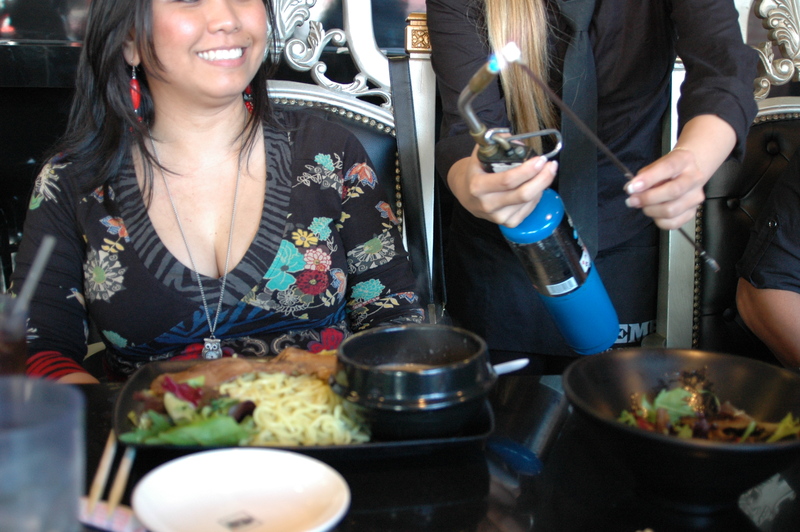 My sister was the daring one and ordered the Ghost Buster Ramen, which had a roasted marshmallow in the broth. 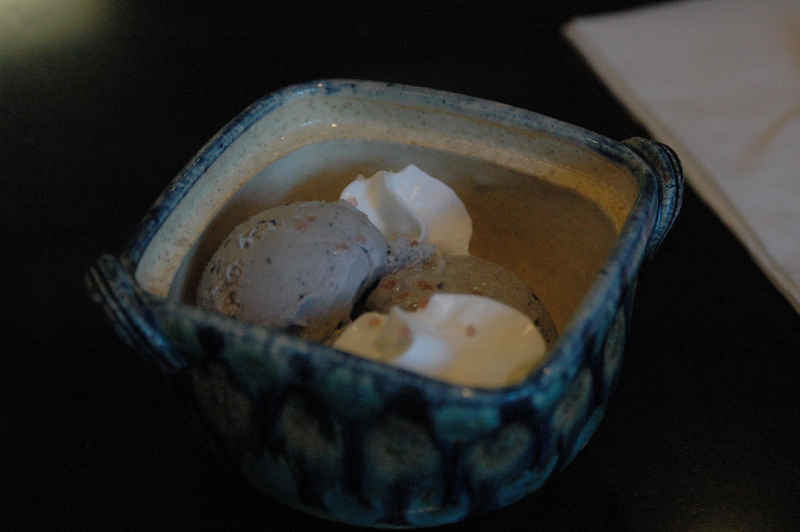 It was surprising delicious! I tried everyone’s ramen and everything was bomb-diggity! 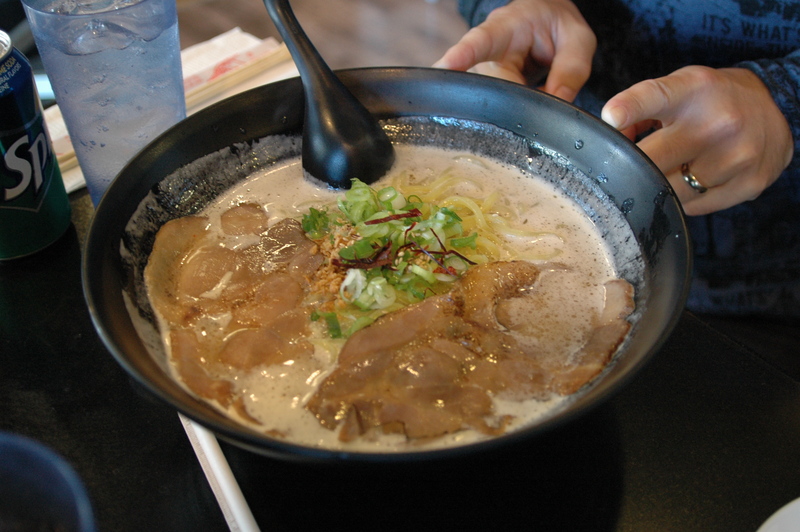 The noodles were perfect and chewy and every bowl of broth was rich, flavorful, and unique! 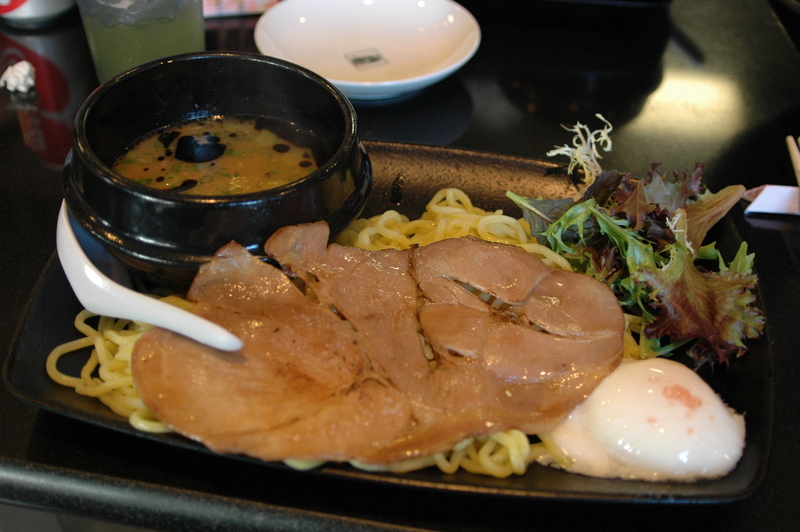 Chashu was tender and the onsen tamago was a nice touch to the broth, if you like your broth extra rich! I would definitely come back here. The service was also great. 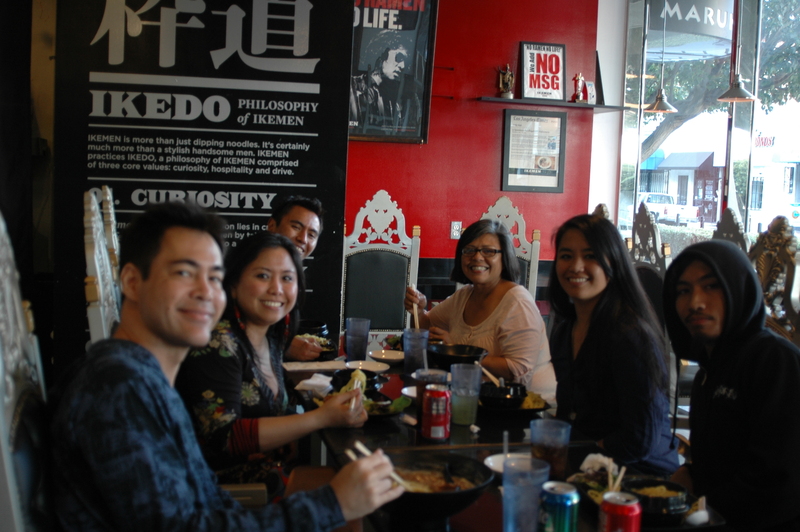 Everyone, including the chefs behind the counter, were super nice. 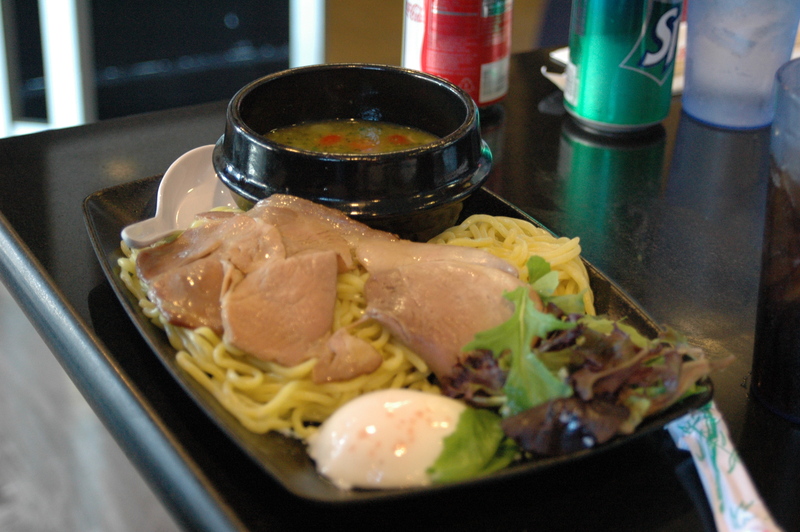 What a great place for tsukemen! 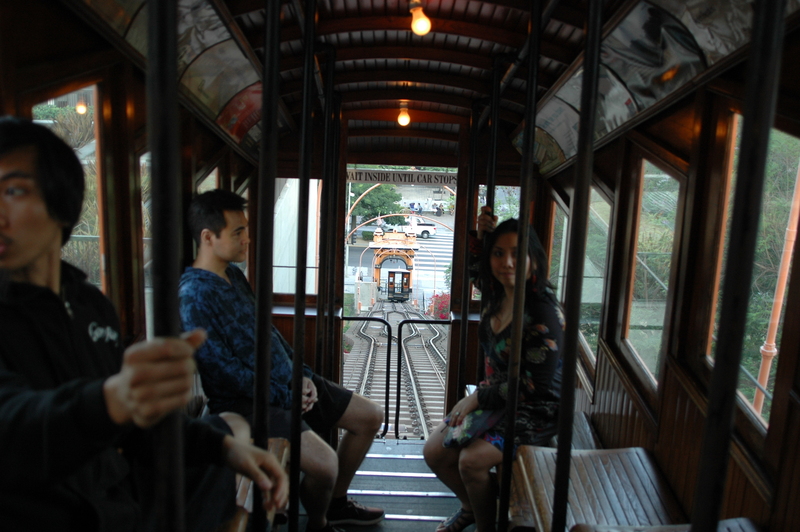 The tour continued towards 5th Street and Broadway, then the arts district on Grand Avenue. It was such a great day for a tour of LA. The weather was nice and we saw as much as we could within 4 hours and ate amazing ramen. I really do love LA and what is has to offer! 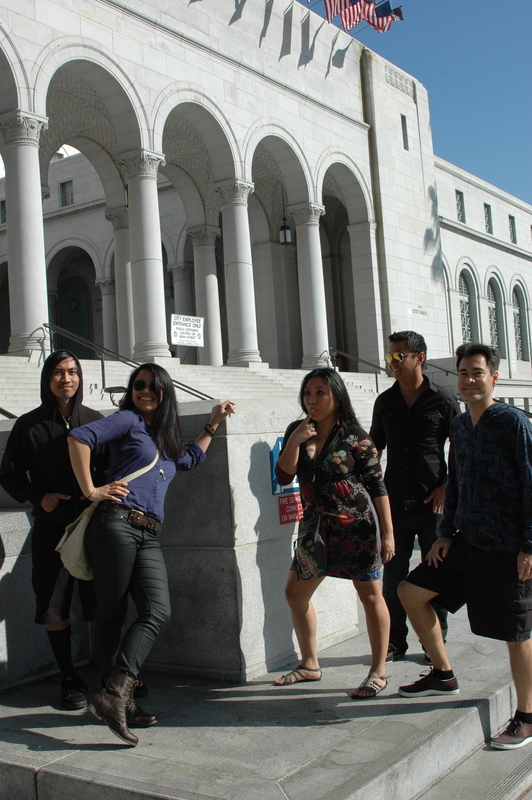 For more photos of our DTLA tour, check out my photo blog here. CASH ONLY! Parking is all over the area, but not free most of the day. There’s also a parking structure near Weller Court. 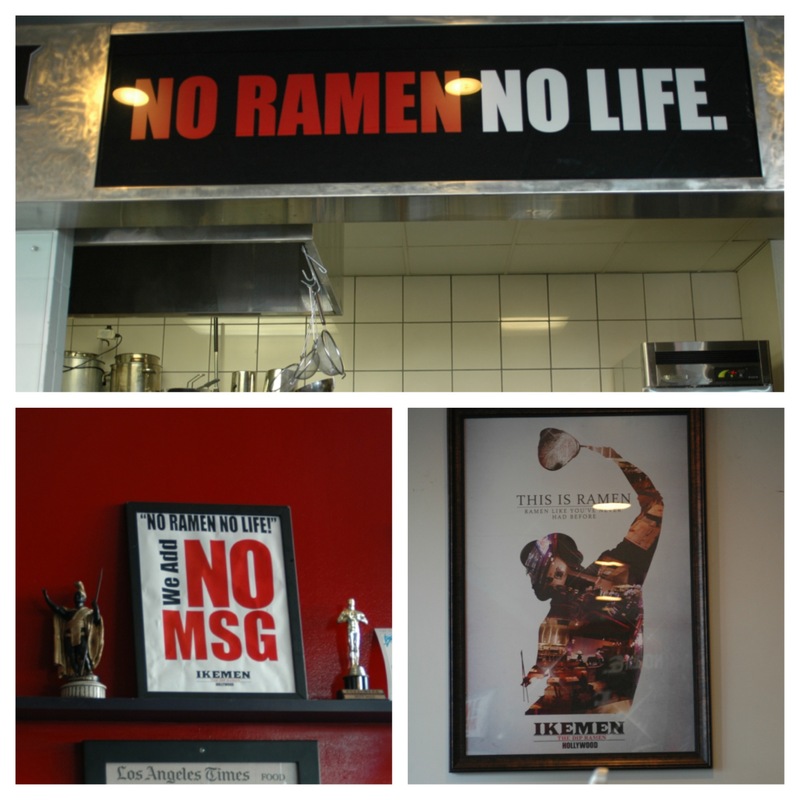 This entry was posted in California, Downtown Los Angeles, Food, Little Tokyo, Los Angeles, Ramen, Ramen Run, Restaurant Review, Tsukemen and tagged Char siu, cooking, Home, Japan, Little Tokyo, Little Tokyo Los Angeles, Los Angeles, Ramen. Bookmark the permalink. 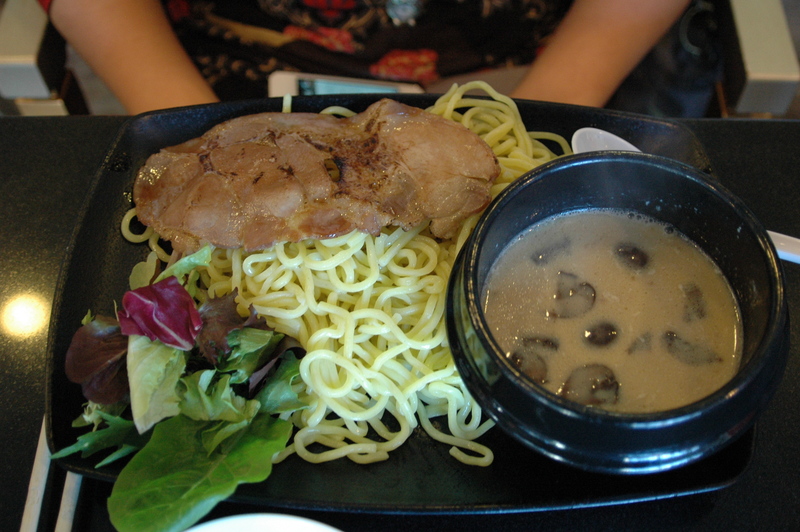 Wow the ramen looks really interesting and Yummy!! Yes it was amazing! If you’re ever in LA, you should definitely check it out! I love your picture of the Plaza. Such amazing colours. It’s only 8:30 at work and I’m ready for lunch. I didn’t get to try Ikemen at the festival! 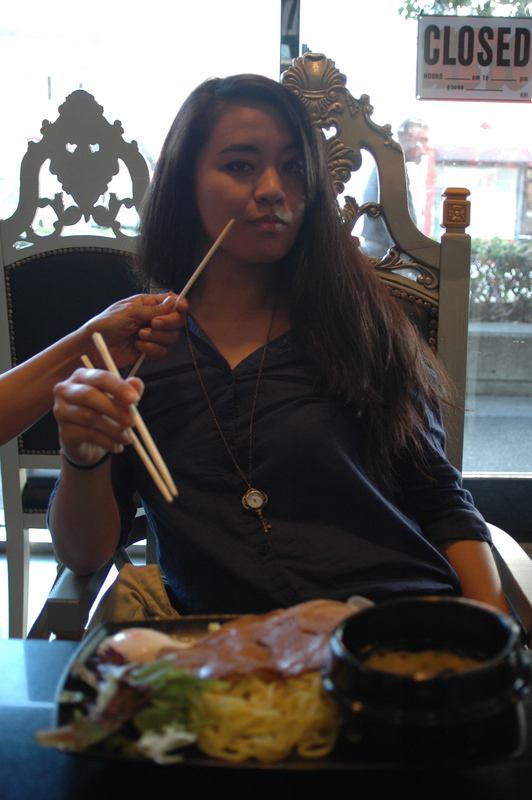 Must hoof it to Little Tokyo soon. 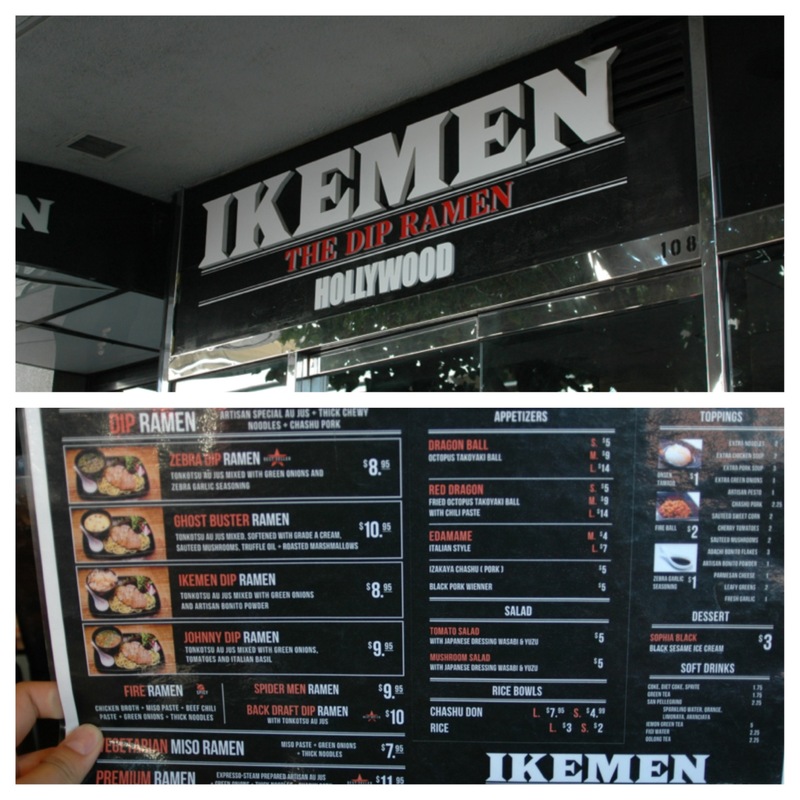 Ikemen in Little Tokyo has closed down! I was at the festival and ran into one of the servers that worked there… so sad! Oh! Are they no longer a business? Shucks, maybe I should have gotten that instead.